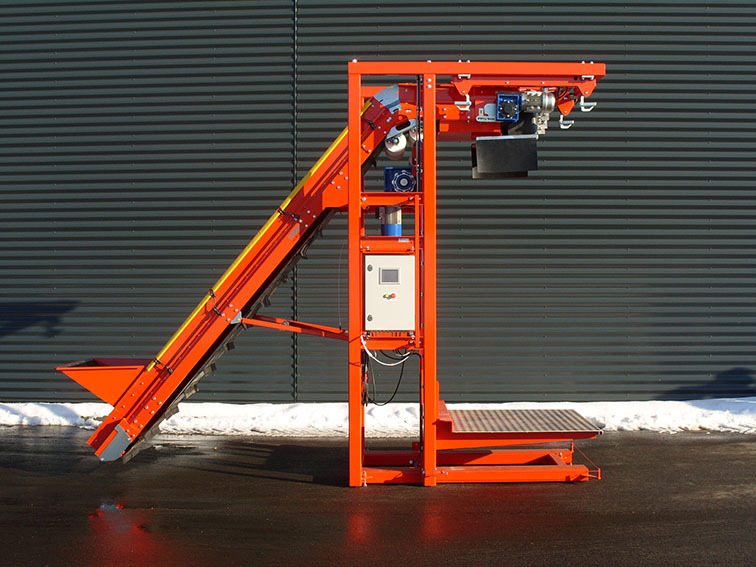 For automatic and careful filling of big bags and crates. 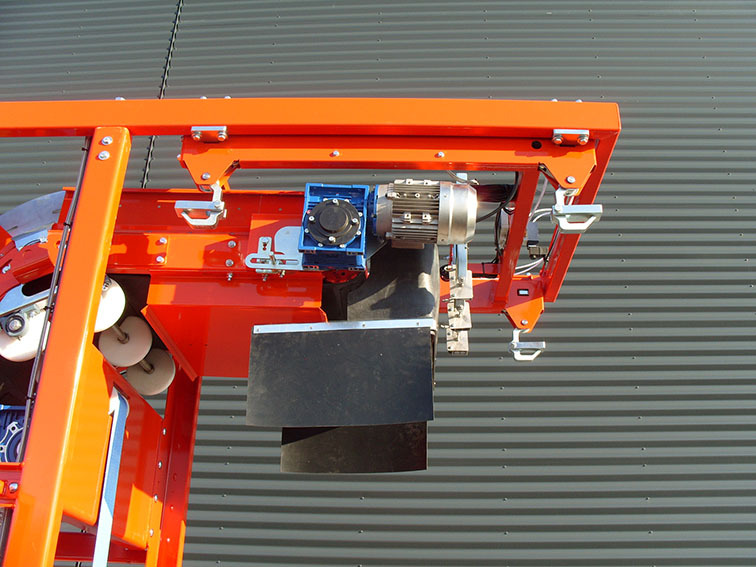 Infinitely adjustable stop height up to 2250 mm. Automatic start-up, when the fall-breaker is in bottom position. 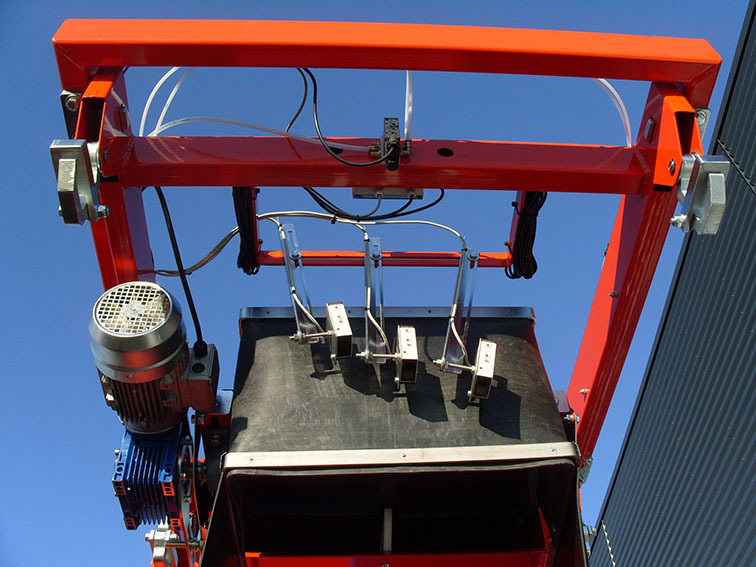 Electrically adjustable suspension of big sacks up to 2000 mm high. Available with automatic, digital weight. The weight is a separate unit which is mounted under the big-sack filler and connected to its electronics, so that it will stop filling, when the wanted quantity has been attained. Available with central hook release for the big sacks. The machine is very sturdy in construction and simple in operation. For automatic, quick, and careful filling of big bags. 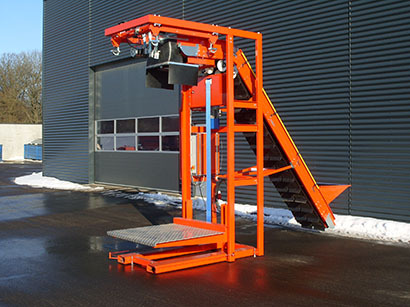 The product is by elevator carried up to the big bag, which will automatically move to start position right below the conveyor. As the big bag is filled, the platform with the big bag will move downwards by way of photoelectric control. When the big bag is full, it is disengaged by the automatic bag release and can be taken away by truck without the driver having to step out. The system gives a very quick, but still careful filling with minimum drop. EM 1882 is designed for continuous working and can from the control panel be operated by one person. 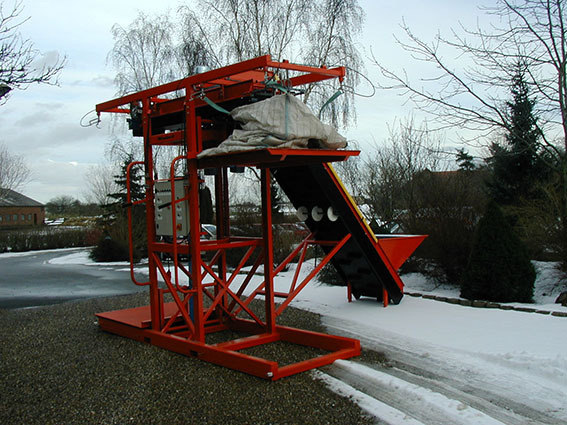 The system, which can be used both for washed and unwashed products, is very sturdy in construction and can be moved around by truck. The big-bag filler can, moreover, be delivered with a digital weighing system, which weighs either a given quantity in the big bag or a total quantity.